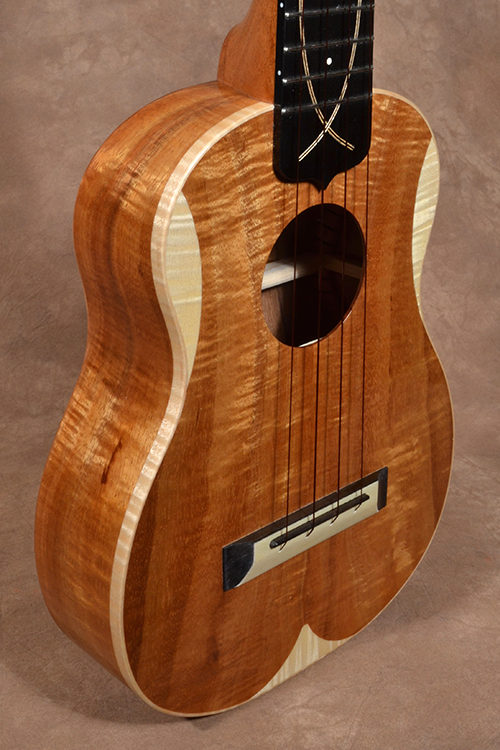 This is a newly made Pohaku full size concert instrument. 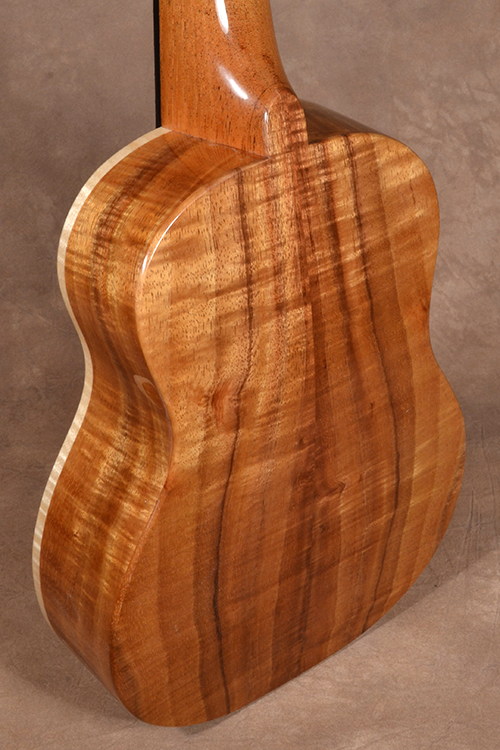 The body is nice and curly golden colored koa from Hawaii’s Big Island. The accent ‘swatches’ and edge bindings are curly maple. It’s fretboard is solid black ebony with crisscrossing maple inlays and clay marker dots. 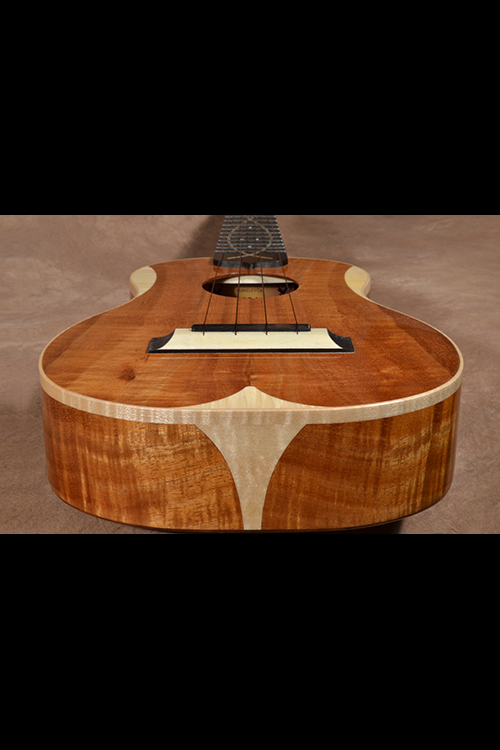 The bridge is also ebony with a maple cap and the neck is genuine Honduran mahogany. The body’s finished in a glossy smooth lacquer and has a gracefully arched back. Tuning is via peg head brand planetary tuners which have a 4:1 internal gear ratio for easy and accurate tuning. The set up and intonation on the instrument are well done. Currently it’s strung with light gauge strings and it is very ring-y with a tenor like sustain but with the sweetness of a concert size instrument.